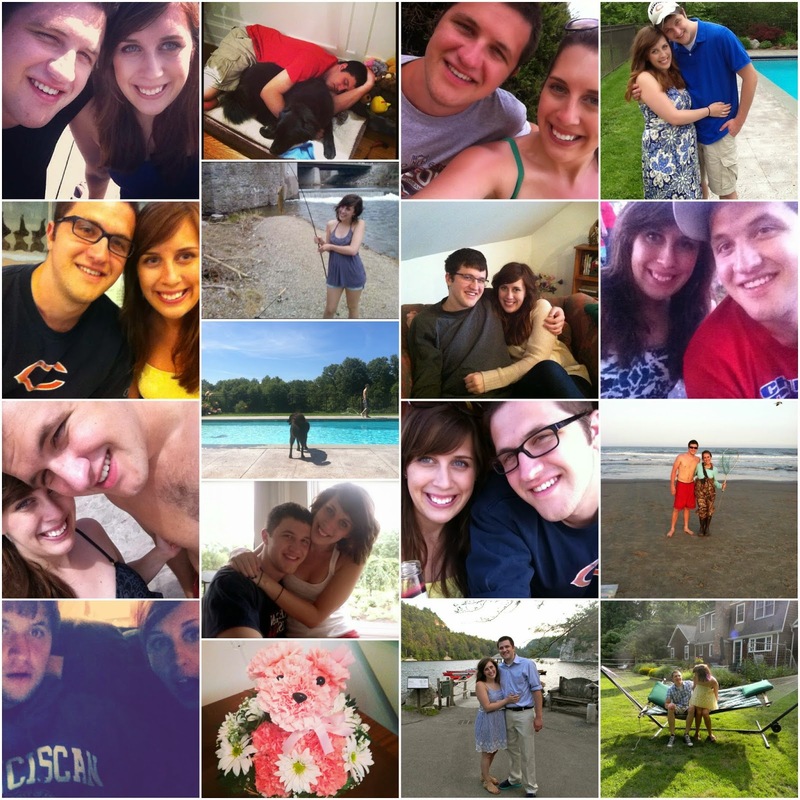 This past Wednesday was Jake and my one year anniversary. Our story is a bit of a long one, so I won't bore you with the details, but the jist of it is that we met four years ago, during my first year of college. We had both transferred to Marist from other schools, and immediately we hit it off. After a failed attempt at dating originally, we decided to remain friends, and since then he has become the best friend I could ever have asked for. I'm just going to come right out and say that I've always had "more than friend" feelings for him (which will come as no surprise to our friends, family or even random acquaintances) but a year ago he told me he felt the same way and we've been together ever since. It's been a pretty crazy year, full of a lot of long-distance (with more on the way, as he moves to Florida tomorrow) and hard times, but there's no partner I'd rather share the crazy times of early adulthood with. I know there will be many more years to come and I look forward to the journey. Too cute! Congrats and I hope you have many more anniversaries to come! Aw thank you :) And thanks so much for stopping by and reading my blog! Aww all those pictures are too sweet! Congrats on having a full year. May there be many more to come!